Cases of African LGBT asylum seekers and refugees, who suffer individual human rights violations, have been monitored and documented by Pride Equality International since 2007. Additionally, they advocate for this group to the refugee commissions in France, Spain and Belgium. PlanetRomeo Foundation supported their project Why Me!, an arts project in which 40 African LGBT asylum seekers document stories on challenges they face in Europe using photography and voice recordings. 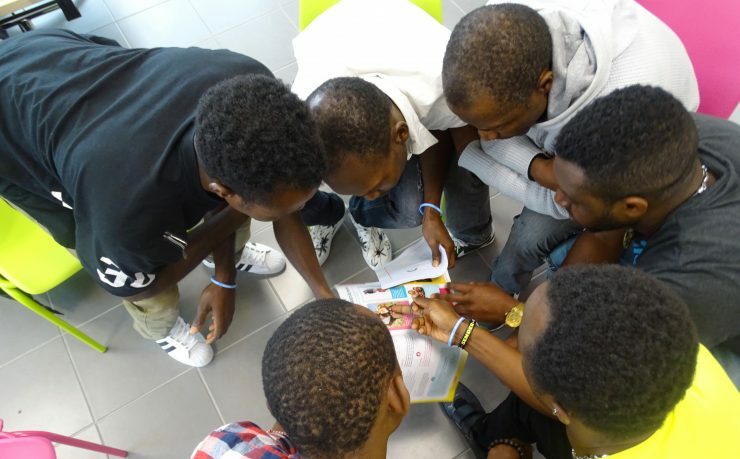 The project captured a realistic picture of what it means to be a LGBT African asylum seeker and refugee in Europe. These personal stories were gathered and showcased in a ‘living library’, and presented on international conferences and human rights events. It’s Pride Equality International’s wish to roll out this project in the rest of Europe. A newsletter about the project was distributed.